Four Des Moines officers catch children dropped from burning apartment complex. BAYTOWN, Texas — Harris County Sheriff Deputy Roberto Martinez frantically ran from window to window of the Baytown trailer home that was engulfed in flames. Click here for the video and complete story. Verizon honors first responders who saved the lives of twelve individual NFL stars in ad campaign beginning at the super bowl. 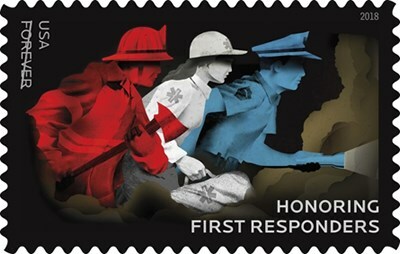 Click here to see the ad and the stories of twelve first responder heroes on video. California Highway Patrol and Yosemite Search and Rescue unit rescue two hikers stranded near North Dome as snow moves in. Click here for the video and the complete story. Chicago cop creates nonprofit to help at-risk youth after school. 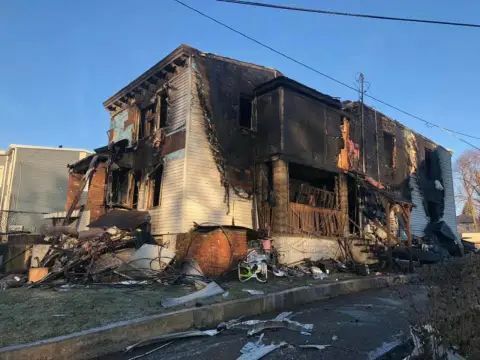 City of Newburgh police officers braved smoke and flames to save several residents inside a home early Wednesday as flames spread throughout the residence. The wound treatment videos Joe Gomez watched on YouTube led to him saving a YouTube employee’s life. Click here for the complete story and the opportunity to nominate your hero. First responders in Paradise help others while their own homes burn. Police Officer Antwan Toney, of Gwinnett County, LA Sheriff's Dept. posted on Facebook about why First Responders run towards anger. Click here for the post. "The heroism of these officers is truly remarkable," Cincinnati Mayor John Cranley said. Video shows Ohio cops responding to deadly bank shooting. Despite the attention, SRO Mark Dallas doesn’t consider himself a hero – he’s just thankful he was there to protect the kids of Dixon High. Dallas police officers were honored for saving a life while on duty at the State Fair Classic game at the Cotton Bowl on September 29. The 28-year-old has already received six lifesaving awards in her seven years as a police officer. In a joint effort to honor the service and sacrifice of America’s First Responders, the annual college football bowl game played at Cotton Bowl Stadium in Dallas, Texas has been renamed the SERVPRO First Responder Bowl. Click here for the complete story. Many officers feel that the public no longer holds them in high regard due to recent high-profile events. The data says the opposite. It’s time to publicize those findings. 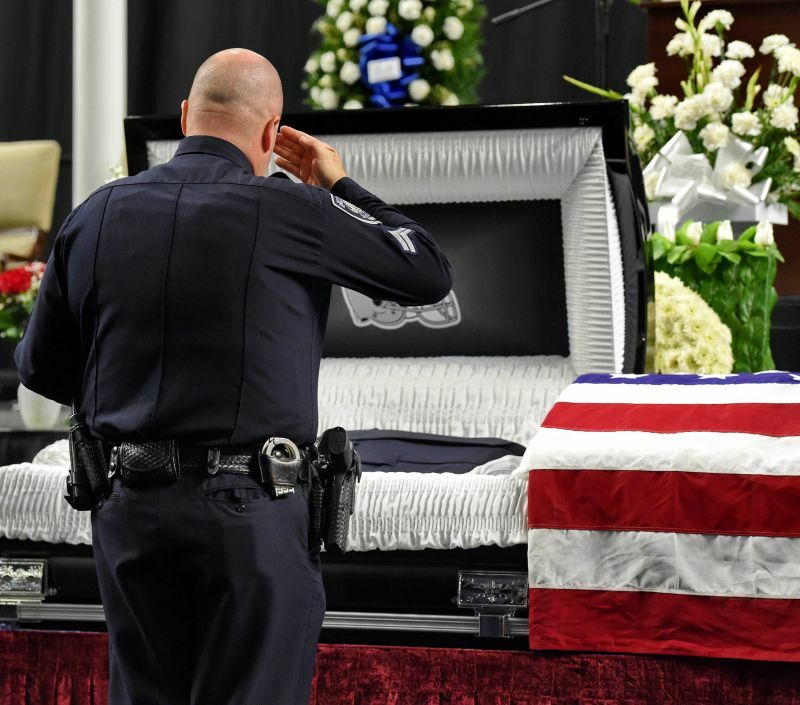 Father says, "This creates a whole new level of respect for what they (police) do." Click here for the amazing bodycam video. Click here for the police dash-cam video. 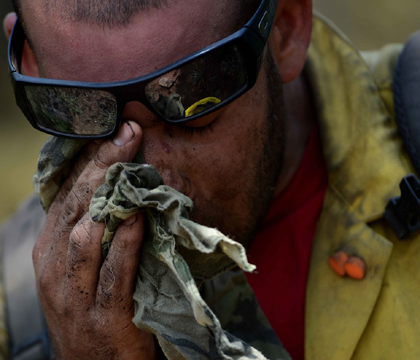 Some firefighters, emergency medical providers, law enforcement officers and others say the scale, sadness and sometimes sheer gruesomeness of their experiences haunt them. "At the end of the day, we are exactly like all of you “normal” people. We just want to go home after work." "Peterson bolted into action and ran toward the tree. There, he found an 18-year-old male in cardiac arrest, a victim of the lightning strike, and immediately began CPR, he said. 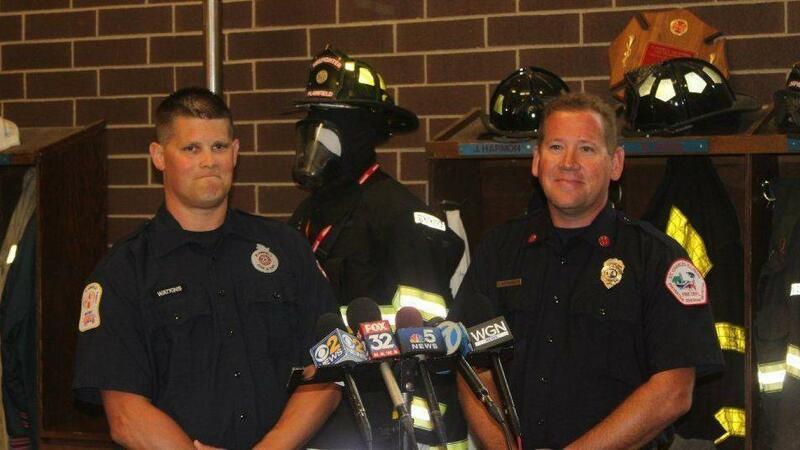 Within seconds, Eric Watkins, a paramedic from the Plainfield Fire Protection District, was at his side to help. Watkins was with his wife and children in their car about 100 feet away when he saw a “gigantic flash of white light” strike the tree." 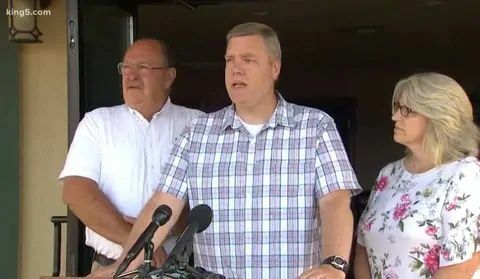 An armed off-duty paramedic, who is also a pastor, is being hailed as a hero after he shot and killed a shooting suspect at a Washington state Walmart. Click here for the story. 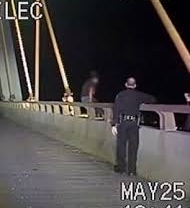 (HOUSTON) — Newly released dashcam footage shows Texas police officers snatching an apparently distraught woman from the edge of a 180-foot bridge as she sat precariously with her legs dangling over the Houston Ship Channel. Click here for the full story. Santa Fe police officer who confronted gunman will likely lose his arm. John Barnes had just joined the Santa Fe, TX department. He retired after 23 years with the Houston Police Department. Mar 16, 2018, By PoliceOne Staff Click here for the article. The officer helped two unconscious people get to the hospital, and they may not have survived otherwise. CNN reports that Sweetwater Sgt. Jenna Mendez was at a red light when she witnessed the pedestrian bridge collapse near Florida International University on Thursday. She initially thought a demolition crew collapsed it, but when she saw the crushed cars, she sprung into action. 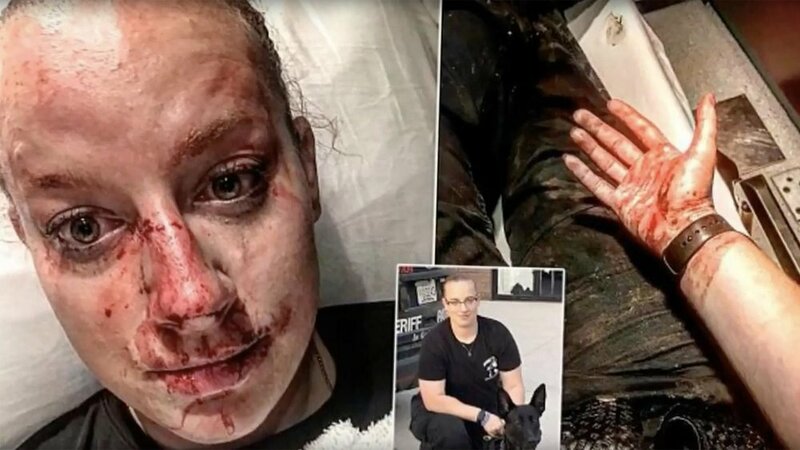 Had the officer beaten the red light, she may have been one of the victims of the collapse that killed at least six people. "I was seconds away from being caught under that," she said. A Dixon police resource officer confronted the gunman around 8 a.m. The suspect fired at the officer, who shot back, injuring the gunman, who was captured. The gunman was later found to be a student who had been expelled for drugs. March 26, 2018, The National Catholic Register Click here for article. Arnaud Beltrame swapped places with a female hostage when an Islamic State-inspired gunman attacked a supermarket in southern France. Beltrame was then shot in the throat by the gunman, and died from his injuries early Saturday morning. BY DAVID RASBACH Click here for the article. A pair of Bellingham Police officers responded to a child "in extreme distress," according to a Facebook post by the Bellingham Police Department, and probably made a friend for life, in the process. According to the post made Tuesday, police received a message Monday evening, thanking Officer Clark Bourgault and Officer Mark Litovchenko after they took their time to try to fix a young boy's bike earlier that day.